The most miserable day of the year is nearly here, you'll be glad to know. The happy new year delusion has a lengthy 21-day shelf-life this year because the third Monday of January is also known as Blue Monday for scientific reasons including the weather, broken resolutions and a fast-receding bank balance. Just like Valentine's Day when Hallmark dictates that you spend to prove how you feel, we're told it will be misery for us this Monday. Add the doom and gloom in the news and it leaves you with just one possible response: thank God for the Heineken Cup. Last weekend's action brought the equivalent January comfort of cold hands against an open fire. Find someone who wants to sit with you the way Peter O'Mahony wanted Joey Carbery to sit beside him after the out-half came off following his 26-point haul in Munster's win over Gloucester last Friday night. When Carbery went to shake the hand of O'Mahony, the Munster captain held onto him and brought him around to sit beside him on the subs' bench. The sense of mutual appreciation between this pair is enough to warm any heart. Living came in all its forms in the homes of the three other provinces last Saturday. What about the balletic way Dave Kearney went over the try-line at the RDS after a precise cross-field kick from Ross Byrne. Injury has been cruel to Kearney these past few years. Or what about Michael Lowry, all 1.70metres and 79kg of him, and his monster tackle on Racing's Leone Nakarawa, all 1.98metres and 109kg of him, at the Kingspan Stadium last Saturday. Not that it was all beauty. There was the very ugly side with Simon Zebo's allegations that he was racially abused during the game, alleged abuse which has been condemned by Racing and Ulster. Such is the rush of fixtures in the rugby schedule there is barely time to truly value what's about to come before its happened and done with and we're onto the next big thing. This is a weekend like no other because all four provinces are set to qualify for the knockout stage of Europe, a clean sweep which has never happened before. Only twice have all three of Leinster, Munster and Ulster qualified for the quarter-finals of the Heineken Champions Cup (in its various guises) and that was in the 2011/'12 and 2013/'14 seasons. National success has been followed by provincial success in the past. When Ireland won the Grand Slam in 2009, Leinster won their first Heineken Cup a few months later. Sometimes success has come against the national grain. 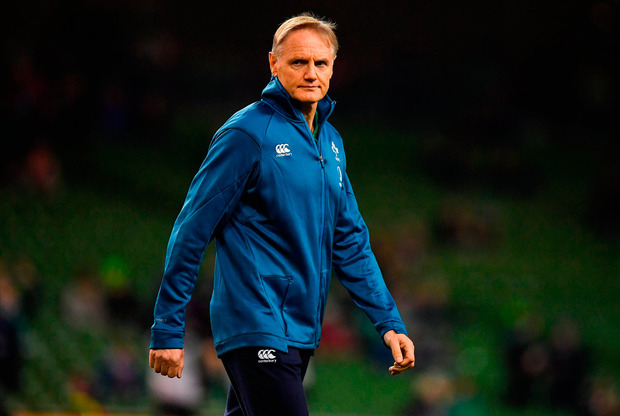 When Connacht won the Pro12 title, it came after Ireland's worst ever finish under Joe Schmidt of third in the 2016 Six Nations. Last year was annus horribilis for various reasons for Ulster in contrast with it being the greatest year on the pitch for Ireland and Leinster. Munster made the semi-finals of the Champions Cup last season but it resulted in a tough semi-final loss to Racing which left O'Mahony saying after that he was "tired of losing semi-finals". Last season was forgettable for Connacht after they finished sixth/second last in Conference A of the Pro14 which was followed by the sacking of Kieran Keane. This season, for a broad range of reasons, including new head coaches at Connacht and Ulster and the additions of Tadhg Beirne and Carbery to Munster, the success of the Ireland team is more evenly mirrored than ever before in how the provinces are performing. This is clearly evidenced in Schmidt picking three uncapped players from Connacht in his Ireland squad this week with Jack Carty, Caolin Blade (who have been one of the stand-out half-back partnerships in the Pro14 so far this season) and Tom Farrell in the mix. Add that to a recall for Ultan Dillane as well as Bundee Aki. What a boost it must be for those Connacht players starting and on the bench against Bordeaux-Begles in the Challenge Cup today knowing their displays have been rewarded and recognised with national call-ups. They may not all get game-time in the Six Nations but being exposed to the standards Schmidt sets with Ireland, allied to what Andy Friend is doing in Connacht, can only have a beneficial knock-on effect. In the Heineken Champions Cup, this weekend has been about Premiership opposition for Munster, Ulster and Leinster against Exeter Chiefs, Leicester Tigers and Wasps respectively. With the next big thing being the Six Nations, it is easy to draw up this weekend as a starter for what's coming with England looking to knock Ireland off their perch on February 2. Aura is a superficial concept but it is attaching itself to Irish rugby and to the provinces with English commentators getting in on the act. On BT Sport, Austin Healy was genuflecting at Conor Murray's box-kicks. "I think he's got a magic touch on it, he almost bewitches the ball," Healy gushed. And former England international Ugo Monye called Jacob Stockdale "the best winger in the world", adding: "I think there is a genuine fear factor about him now and what that does is put an element of doubt in defenders". It's over 12 years since Ronan O'Gara questioned the way English players were hyped up by the English media. The landscape is shifting. English teams will see Irish teams as the ones to be knocked off their perch. The World Cup can wait. The Six Nations can wait. Misery Monday can go jump. This weekend in Europe will be one worth savouring. Cian Tracey When a coach of Regis Sonnes' stature turned up in West Cork, the people of Bandon could hardly believe their luck.